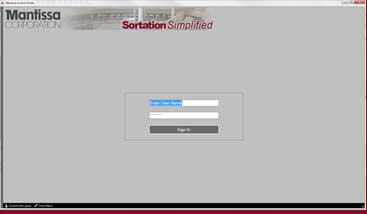 MerlinPLUS™ is an enabling technology that provides a framework to support custom sortation applications. The heart of the system is comprised of several integrated functional areas. 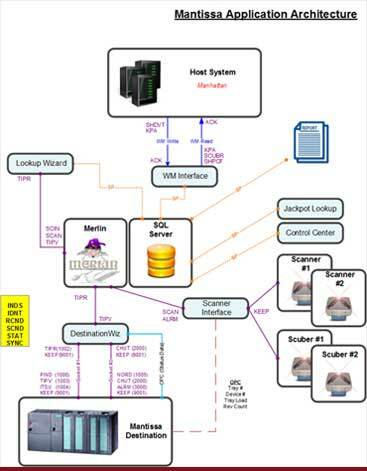 MerlinPLUS supplies the underlying messaging, queuing, logging and client-specific logic routines necessary for reliable sortation systems. make it a robust project proven technology:. 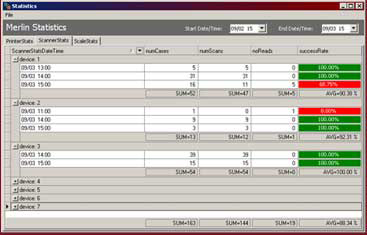 The workstation interface provides the operator with the ability to monitor system behavior, create assignments, or change sorter parameters while refraining from involvement with the logic’s internal workings. 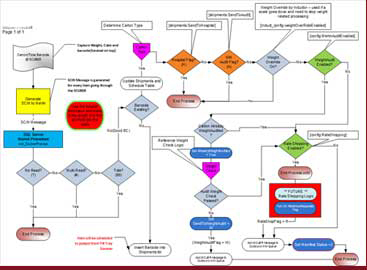 The Messaging module provides a free hand to focus attention on how best to interconnect tilt tray processes with other systems. Acting as a dedicated network “agent” to all connected platforms, MerlinPLUS allows numerous connections to be configured (server or client) allowing transporting data from a source to a destination in a timely and reliable manner. Queuing allows short-term data storage and retrieval between computers or applications, by freeing the sending and receiving applications from monitoring each other’s state or availability. Using Microsoft™ SQL Server, MerlinPLUS is configurable to transparently archive all transactions from the messaging module as well as other real-time production components. Recording event history allows real-time problem determination, post transaction analysis and report generation. The Logging module records all inbound and outbound messaging into a relational database, in the precise image in which the data was presented. The reasons for such comprehensive data logging are gleaned from years of experience in trying to “find out what happened”. An interface is provided to allow queries against the database as a quick method of extracting and displaying data as needed. 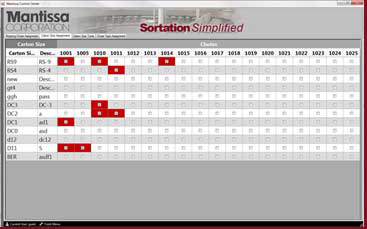 The System Console on MerlinPLUS™ immediately displays all sorter system messages received from Destination™. 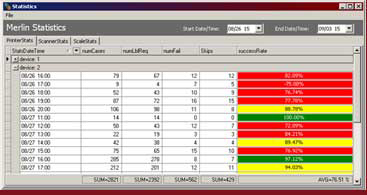 System messages result from an event occurring on the sorter that is noteworthy from an operations or maintenance perspective (i.e., a “low speed” error was encountered, etc.). Most system messages will provide information only and will self-correct without human intervention. All system messages are logged to a SQL database and can be printed in their entirety as part of the maintenance reporting. Daily batch reporting provides end-of-day sorter performance reporting. Every message, received by the logging module provides the raw data for maintenance reporting. This data is summarized daily, monthly and year-to-date. Refer to Report Module. 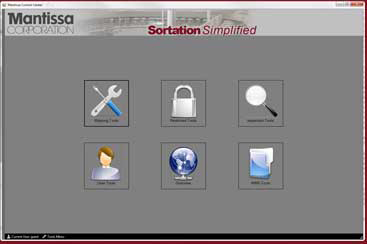 Mantissa MerlinPLUS™ GUI provides insight into the sorter operation, enabling the supervisor to make real-time management decisions.